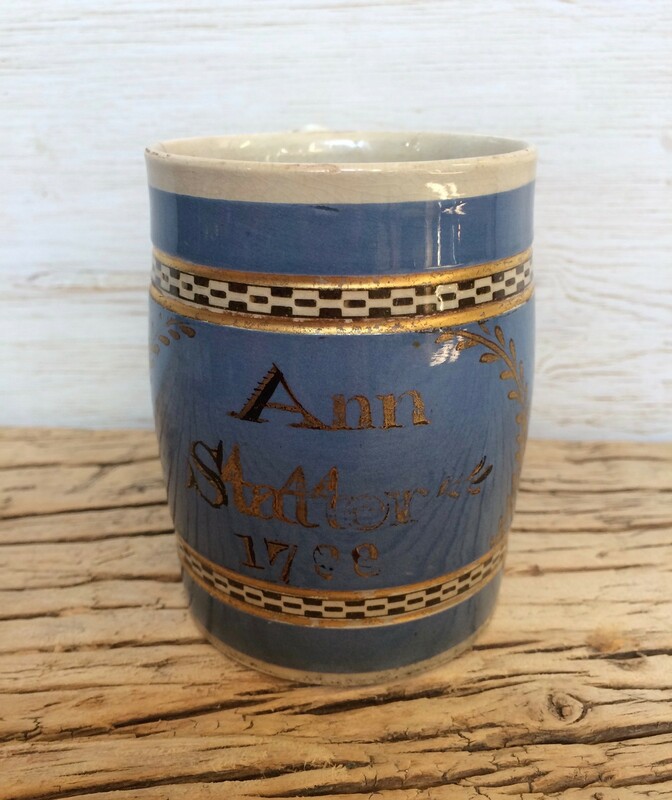 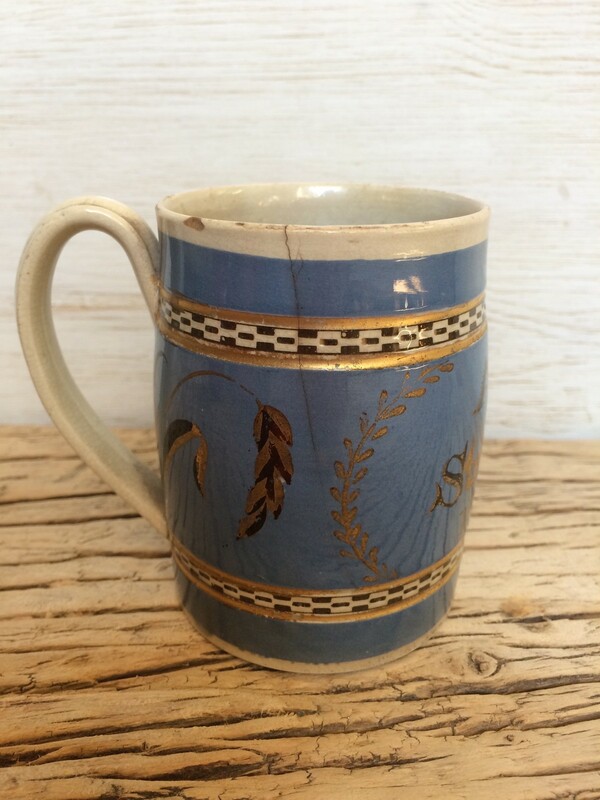 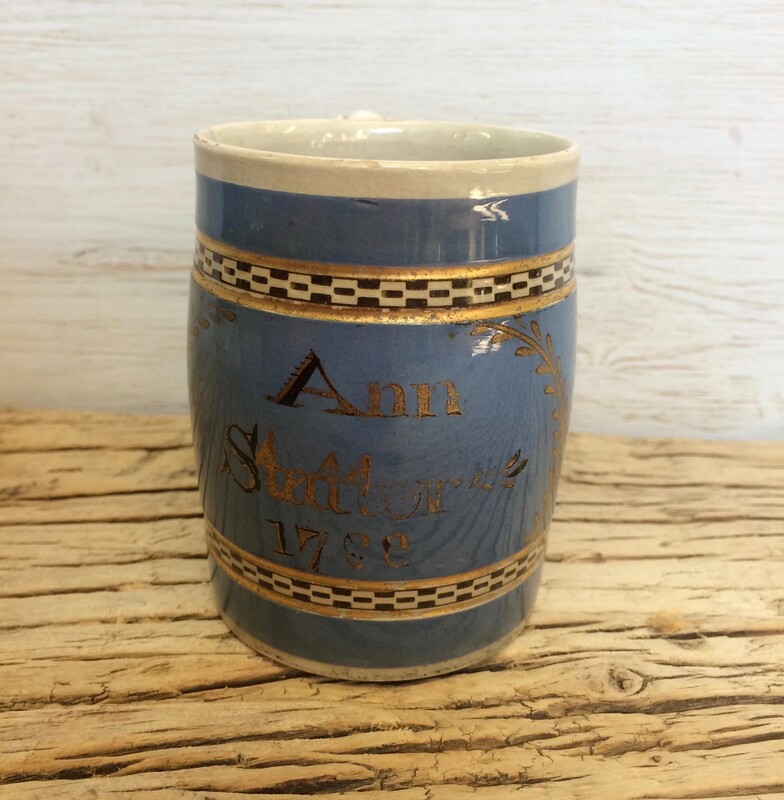 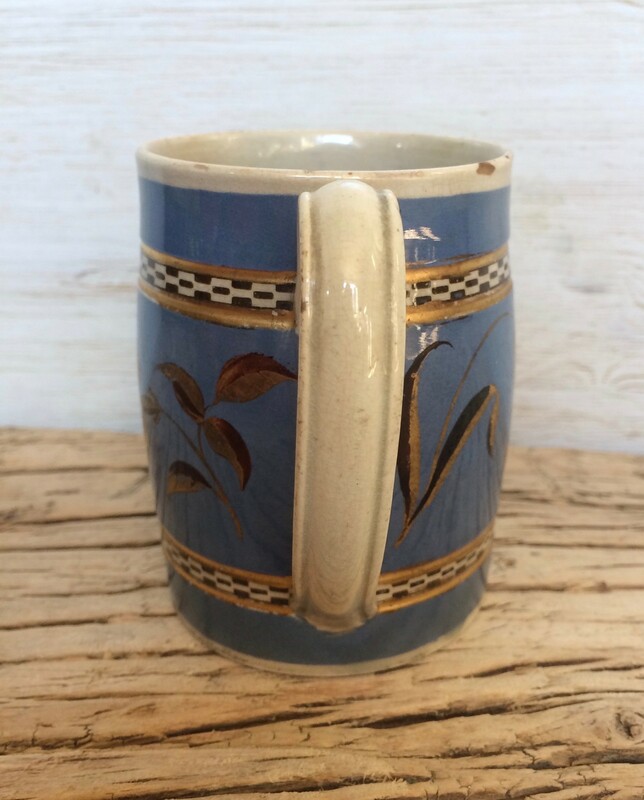 Ann Statter Blue mug dated 1788, cracked, English. 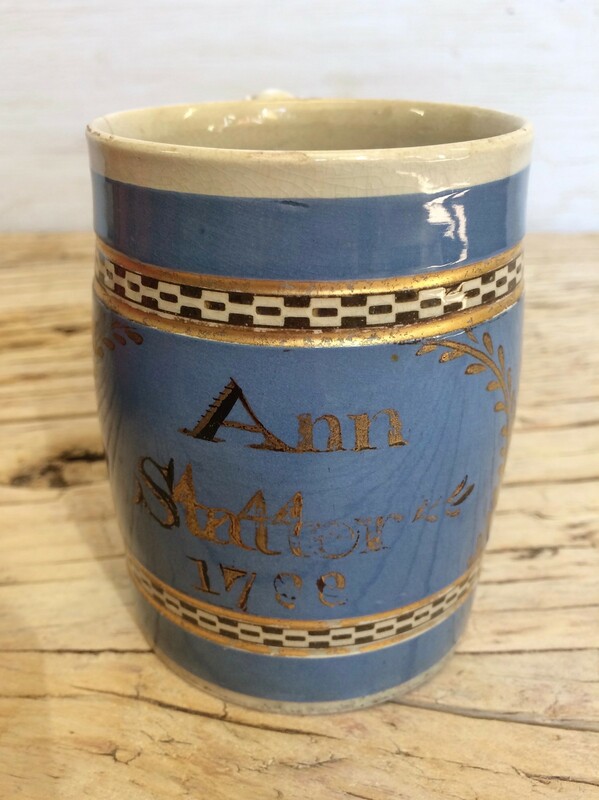 An unusual antique shop established in 1951 situated in the heart of London. 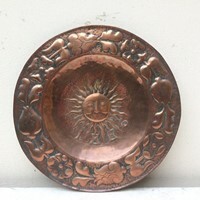 For the last thirty-five years we have also been hiring props for photo shoots, advertising, TV and film sets.